For television and film star Jon Lovitz psoriasis began affecting his life about ten years ago at the age of 42 when he noticed the sudden appearance of red dots on his arms. Thinking it was a simple rash, he visited a dermatologist, was given a steroid cream and told to apply the cream to the redness every day. Initially, the cream worked, eliminating the red dots and itching. However, the spots returned to Jon's arms, growing larger and eventually overlapping. At the height of his outbreak, nearly 50 percent of Lovitz's body was covered in psoriasis plaques. Even his scalp was affected, resulting in a constant profusion of flakes falling from his hair. He later made a joke about this “dandruff,” saying that it looked like “my head was a snow-making, special-effects machine.” Feeling helpless and embarrassed, Jon said that although he had been a comedian for many years and made millions of people laugh, he thought, the joke was finally on him. 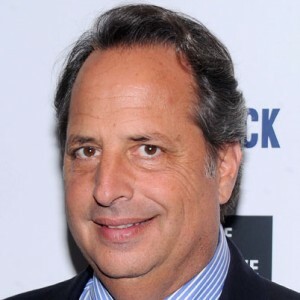 Born in 1957, Jon Lovitz was a well-known member of the NBC hit show Saturday Night Live from 1985 to 1990, eventually garnering an Emmy nomination for his comedic portrayal of the character “Tommy Flanagan, the Pathological Liar”, who popularized the phrase “Yeah! That's the ticket”! He has also been used as a voiceover character in episodes of The Simpsons, the Disney film The Brave Little Toaster and in a promotional video for the game Banjo-Kazooie. Following Jon Lovitz psoriasis diagnosis, the comedian tried to manage the disease by utilizing several different treatment programs but experiencing different success levels with each medication. In various interviews and blogs, he talks openly about feeling “the burden of my psoriasis” and how it affected his ability to maintain a healthy social life. At a party, Jon confided in a friend about his inability to control his psoriasis outbreaks. The friend happened to know a dermatologist who specialized in treating psoriasis as well as understanding the emotional turmoil that psoriasis sufferers experience. In addition, his website contains outtakes, behind-the-scenes footage and an interactive question and answer area to entertain and inform psoriasis sufferers. It is extremely unusual for someone to suffer from psoriasis without previous exposure to common triggers such as stress, cold and dry climate conditions, cigarette smoking, certain medications or having close family members with psoriasis. Research has recently discovered that psoriasis is hereditary, with children of parents with psoriasis having an 80 percent chance of also developing the disease, especially if they are exposed to the right triggers. Psoriasis is a multigenic disorder involving a complex variety of genetic components interacting with environmental variables. Until further research determines the alleles and DNA implicated in the emergence of psoriasis, the origins of Jon Lovitz psoriasis will remain unknown.